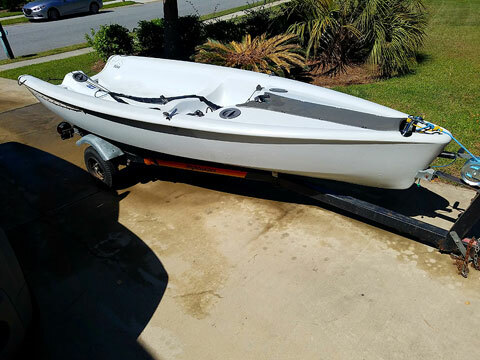 It is a 12’ racing dinghy (Sail number 2293) in excellent condition. Bought new and sailed no more than 20 times in freshwater only. Garage-stored, rotomolded hull is in great condition, and the sails (main, jib, Gennaker) look brand new. 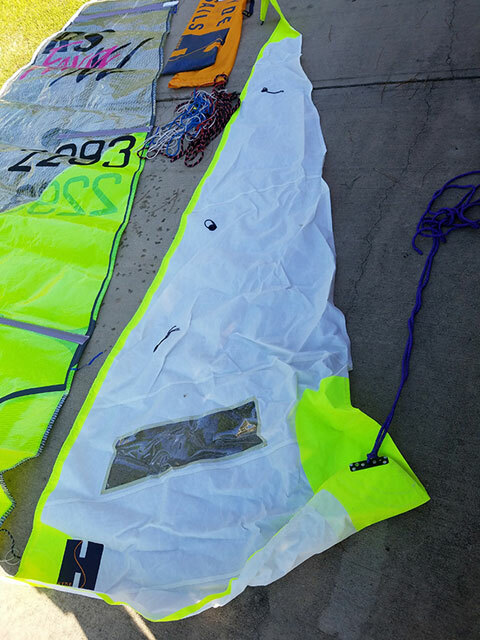 All rigging is included and kept in sail bags, along with rigging manual and user manual. 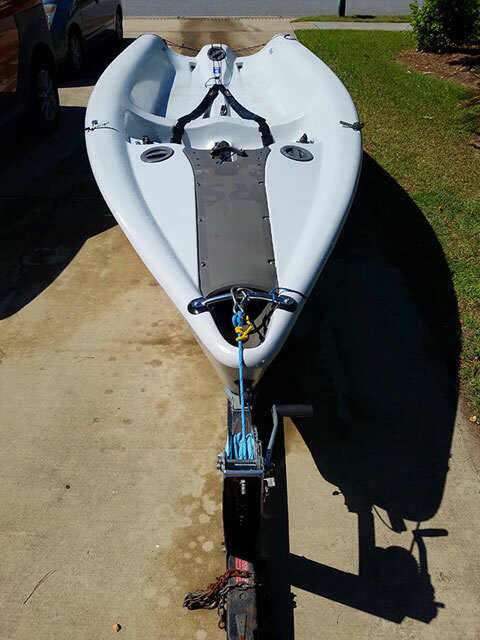 Everything you need to get sailing, including a nice trailer (1 7/8” ball hitch) with working lights and spare tire. The tiller arm was upgraded to a Ronstan tiller extension. 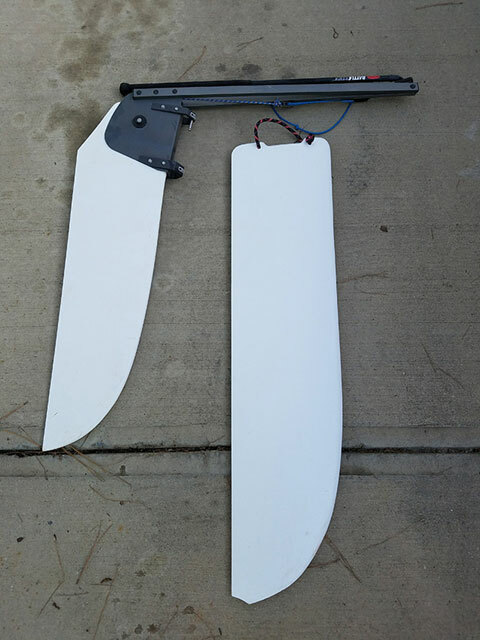 The only minor issue is the tip of the dagger board chipped off, but does not affect the performance. 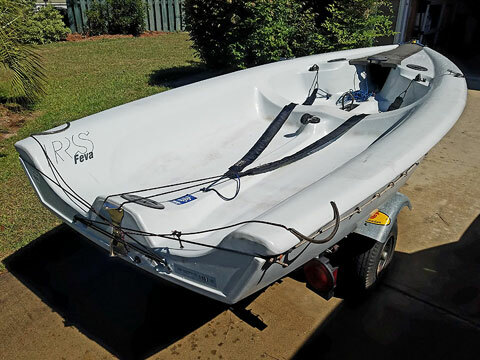 New boat retails for $7500 not including trailer.